You may already know about our Smart Promotions module that allows you to create specific promotions, limited (if you choose), for a certain service/service provider and have it only valid during a certain time of the day for example (see more here). So I will not waste time telling you about the smart promotions here. What I wanted to talk about is that you can create a cool promotion image, place it on your web page or post it on Facebook, Linked in etc and directly link the clients to your new promotion. This helps your clients to find the promotion directly instead of having to browse through services and service providers first. First of all, you can go to Fotolia (or some other photo stock company) and buy an image for your smart promotion. 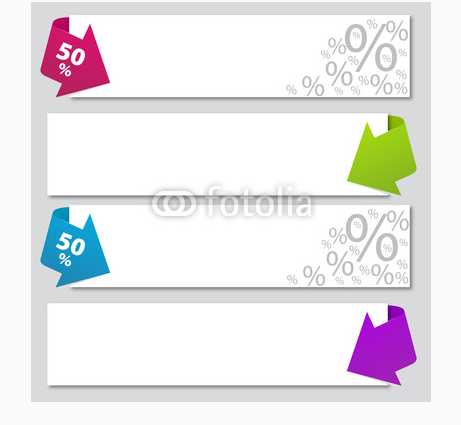 An example of promotion image you can buy from Fotolia. You can then use an image such as a promotion banner, open it in Windows Paint and write your own text to suit the promotion that you have created with our smart promotions. An example of how you can create your own promotion banner. This is how your promotion would appear on Facebook. All your clients need to do is to click on the link by the image, and go directly to the booking of the relevant service on promotion. REMEMBER to include the promotion code somewhere on image or in the text description so the clients can redeem the promotion. Now, use your imagination and see how this can help you to get more business through smart promotions !